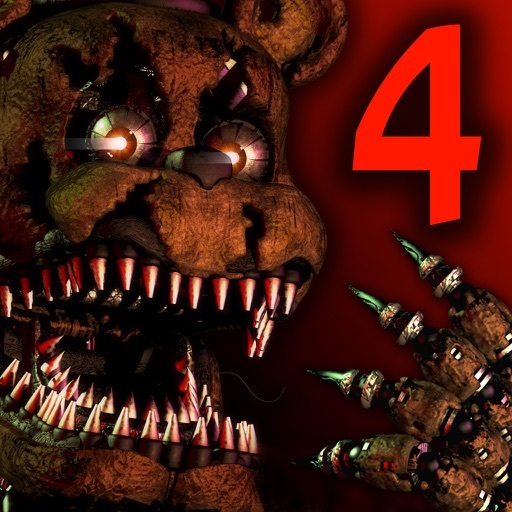 Five Nights at Freddys 4 App Data & Review - Games - Apps Rankings! The applications Five Nights at Freddys 4 was published in the category Games on 2015-08-03 and was developed by Scott Cawthon. The file size is 48.46 MB. The current version is 1.0 and works well on 5.1.1 and high ios versions. 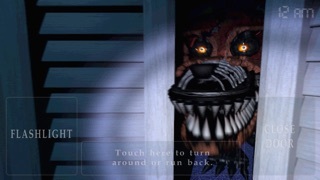 Do you like Five Nights at Freddys 4 applications? Please share! I love Fnaf my whole room is filled with Fnaf. I have 6 plushies game is GREAT this review is not about Fnaf it is about your other games. Now I would do this on the other games but I have to own it so i really want to play Sit ‘n’ survive but it won’t let me get the app cuz u can’t play it on iPod touch I actually can’t play any of your games accept Fnaf. Pls make it were u can play your other games on iPod touch. Bye. This is so fun and scary!!!! Very hard it would have been five stars if the breathing was louder. Night 1: when you try to beat FNaF4 by standing still your eventually your going to get jump scared by Freddy if you thought 💭 you didn’t have to check the bed your wrong. (you must check the bed always). 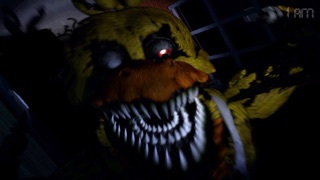 You won’t find Bonnie or Chica or foxy (unless you don’t check on them).so you’ll be fine just check the bed 🛏. 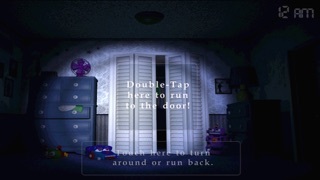 Night 2: again check the bed 🛏 now you’ll see chica and Bonnie and foxy now you must check everywhere. (at the end of each night you get to play fun with plushtrap it removes 2 hours from your game so you’ll start at 2 am I think) I’ll feed back later #FNAFRULES. 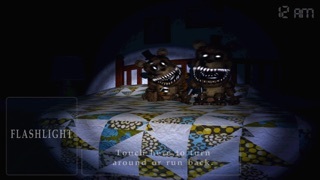 I think it is a bad game for so many reasons one because I get Chica away with my flashlight and then I go to my bed then go back and chica jumpscares me and that was not fair. Please add iPhone X/XS/XR screen size suppurt! 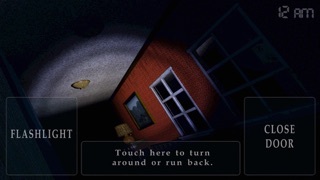 Hi Scott if you see this, can you please add the Halloween edition to FNaF4. It would be lots funner. When I saw it on YouTube I thought it wasn’t so scary but when I got I was scared and YouTube not as scary as real life playing so I just wanted you to know what I know. I love this game I’m completed the whole game but where’s the Halloween edition!??! I never but at least it’s good! This game is seriously my life! It’s amazing, the graphics are great, and the jump scares get me every time. Especially Chica’s. I don’t know why but she always scares me the most. It’s super challenging but I love that! I recommend it for EVERYONE! flash you light over and over to make the freddles make a rap beat. This game has got to be one of the most difficult ones for the FNAF games. The breathing is hard to hear sometimes. I even had trouble beating Night 1! I’m still stuck on Night 3. But this game terrifies me. I hate listening hard to see if there’s breathing because, for all I know, there may be a jumpscare. But that’s a great strategy to scare people! This game is SUPER scary, SUPER cool, but I can’t here the breathing from the animatronics at ALL!!! PLEASE FIX THIS!!! The best of the fnaf franchise and the scariest game of all time. I'm honestly to scared to play it and I'm only on night 2! Even better than the original version. Very scary when played with the earphones on. Best of the franchise Mr..? Oh my god this game oh boy this game But the only to things that should be added Freddy's nose booping noise and make the breathing sound Louder but beside from that It's SO AWESOME!!!!!! !